No. 1 York holds off No. 5 Lake Region, 2-1, in Class B South. 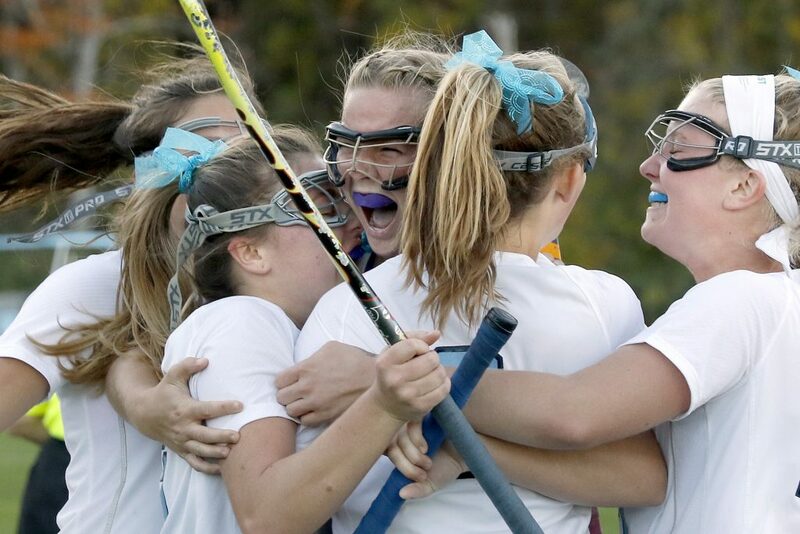 Sydney Bouchard, right, is swarmed by her York teammates after scoring the winning goal in double overtime against Lake Region on Friday at York High. 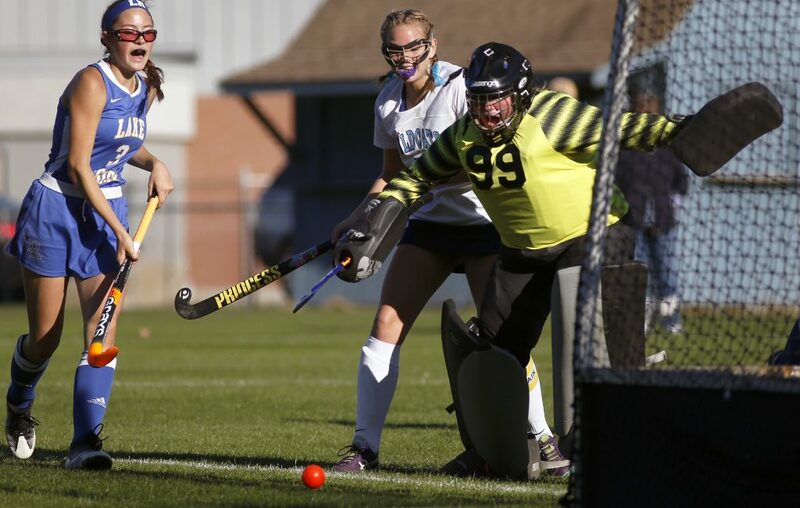 YORK — The path to the Class B South field hockey final turned out to be winding and difficult for York, the three-time defending state champion. 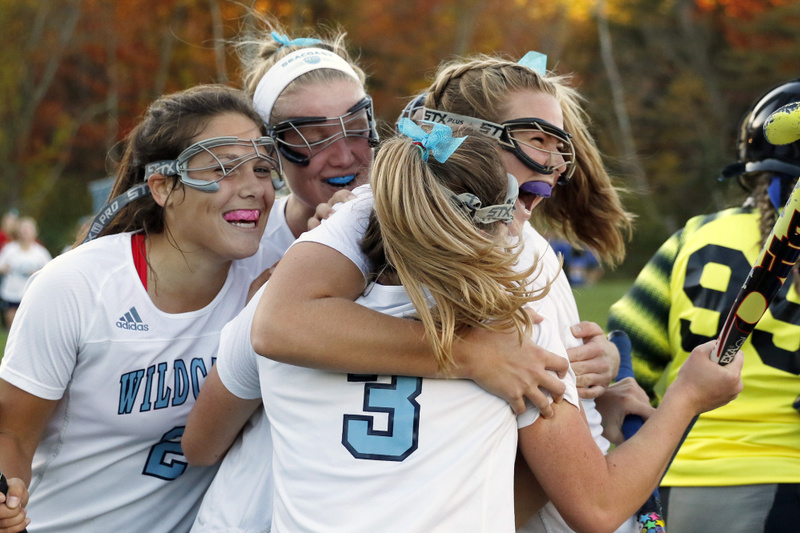 Still, thanks to deft stickwork from Sydney Bouchard, the top-seeded Wildcats made it for the 10th straight year. 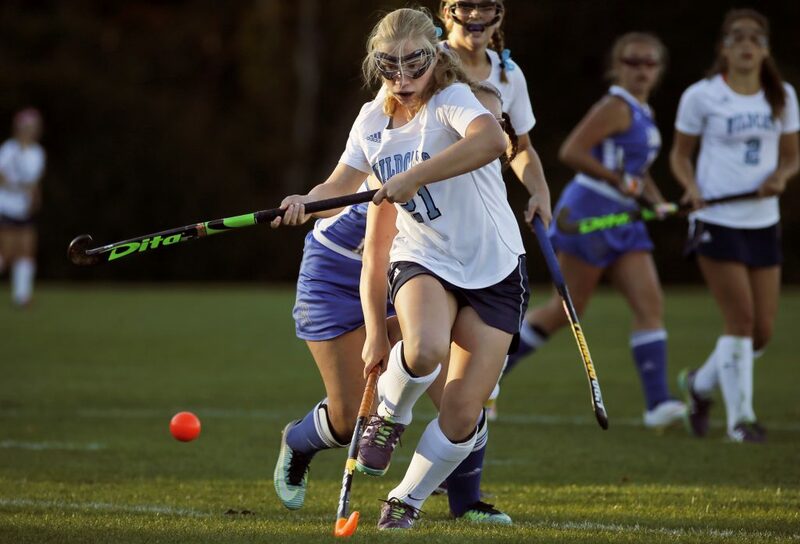 Bouchard weaved around three defenders and scored 2:15 into the second overtime Friday to give York a 2-1 semifinal victory over fifth-seeded Lake Region. The Wildcats advanced to Tuesday’s regional final against third-ranked Poland at Thornton Academy in Saco. Winless a year ago, Lake Region (8-8) gave the perennially powerful Wildcats all they could handle. 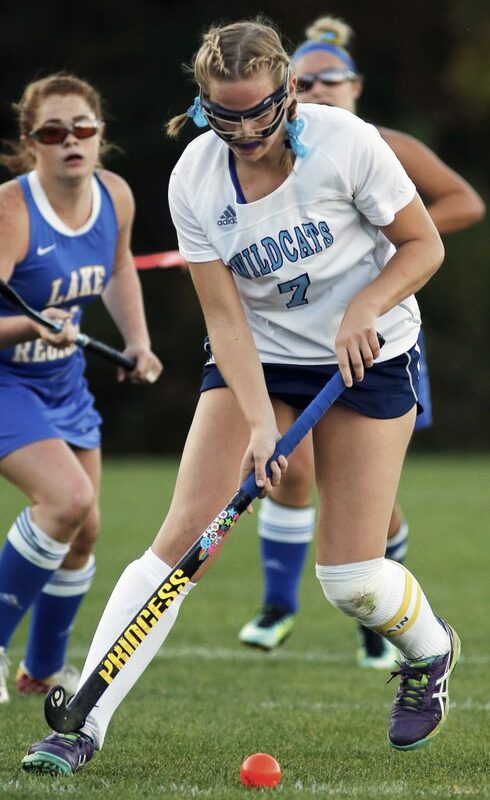 After giving up a disputed goal in the final minute of the first half, Lake Region tied it a little over two minutes into the second when Dessi Berry buried the rebound of an Olivia Deschenes shot. Although York was on the attack for much of regulation and enjoyed a 13-2 advantage in penalty corners, the seven-on-seven overtime periods offered chances for both teams. York held a 3-2 edge in penalty corners in overtime. With time winding down in the first half, Jessa Smith of York crossed the ball from right to left in front of Lake Region goalie Maddie Nelson, who finished with 10 saves. 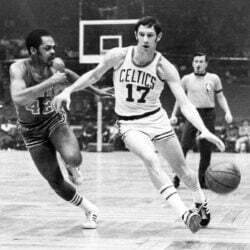 The pass hopped over the stick of Bouchard but Barbara Conratd, a Belgian exchange student who hadn’t scored all season, rapped it inside the left post. Lake Region defender Allie Vogel stopped the ball and teammate Victoria Ross cleared it away, but Bouchard had begun celebrating. After a moment of confusion, the officials signaled goal. Friday’s game was the third of the season between York and Lake Region. All three wound up 2-1 York victories, the last two settled in overtime. “They’ve been working and improving every practice, every game,” Webb said of her Lakers.